Welcome to the CHOC Children’s Press Room, a resource for members of the media. Our goal is to make accessing CHOC’s facilities and expert medical staff as easy and efficient as possible. The Public Relations staff is available to assist local, regional and national news media in locating an expert spokesperson, obtaining information on a news item or answering questions about a news release or event. You can receive CHOC news updates via RSS, or you can subscribe to our notification list and receive news as it is released via email. And don’t forget to subscribe to our blog. Get the latest news delivered to your inbox as it happens. 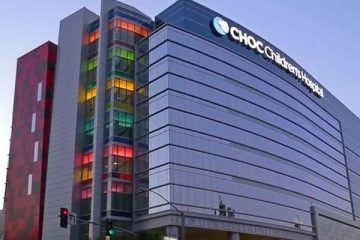 CHOC Children’s is pleased to offer media the following b-roll footage, which features exterior and interior shots of our main hospital campus. We kindly ask that credit be given to CHOC Children’s, when appropriate. If you have any questions, please contact a member of the media team. The public relations department at CHOC Children’s is available to assist the media 24 hours a day, seven days a week. Members of the news media wishing to contact or interview a physician, patient and family members, and/or staff at CHOC, should contact one of the news representatives listed below during normal business hours (9 a.m. to 5:30 p.m.) After hours, on weekends and during holidays, media should call the hospital’s operator at 714-997-3000 and ask for the on-call public relations representative. Public relations representatives will answer news media inquiries only. If you are looking for information other than media related information, please call the hospital’s Operator at 714-997-3000. If you would like to discuss questions about your hospital visit, voice concerns, or share suggestions and comments, please call the Customer Service CARE Line at 714-509-3200.